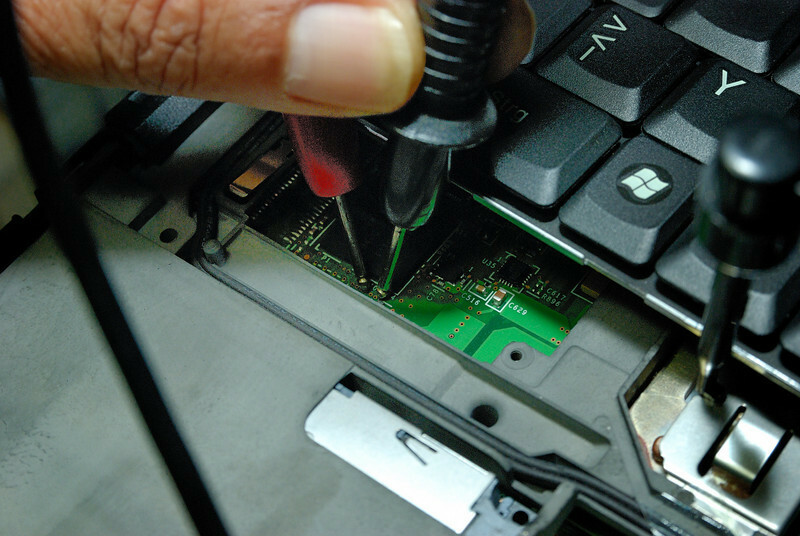 USB ThinkPad (TP) Password Recovery, Password Clear, CRC1 and CRC2 Repair Tool. 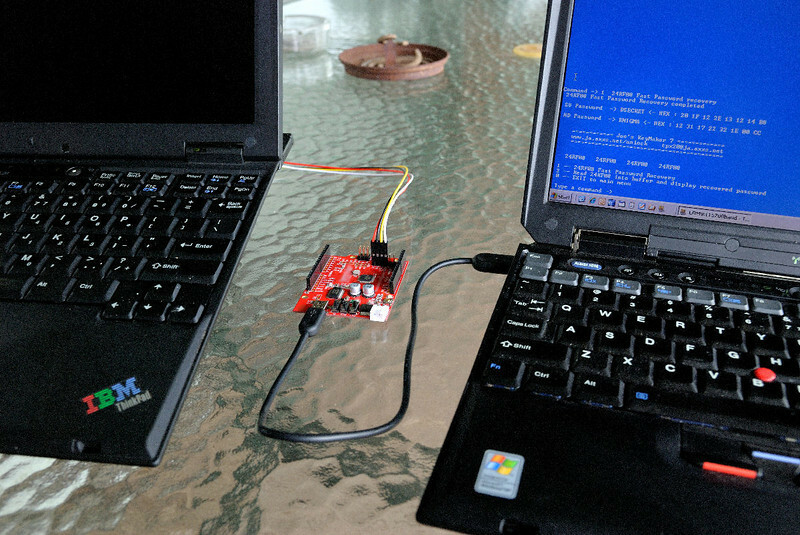 Pictured below is Joe's KeyMaker 7 USB in use recovering passwords from the ThinkPad on the left. The cable disappearing behind the locked TP on the left is connected INSIDE that TP to its EEPROM and NOT to a USB port. Only the KeyMaker 7 itself is connected to the USB Port on the TP on the right which is used to power the KeyMaker 7 board as well as to communicate through FREE Terminal software to enable you to interact with the firmware program running inside the KeyMaker 7 board. 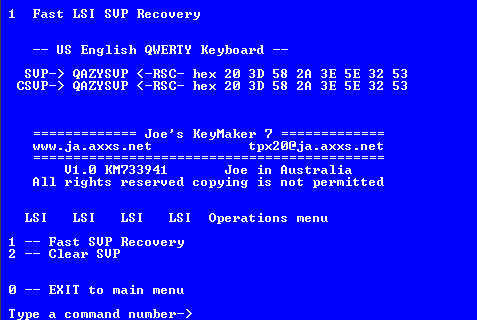 Joe's KeyMaker 7 USB will perform Supervisor Password Recovery and/or Supervisor password clear functions on all the current and the older TP models listed below. 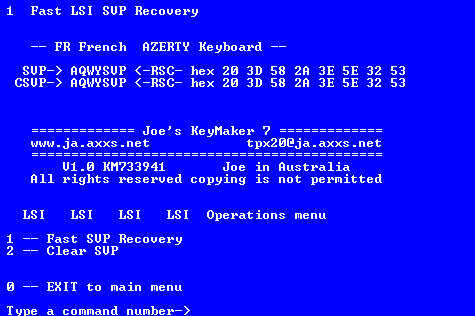 There is no limit to the number of times you can use the KeyMaker 7! 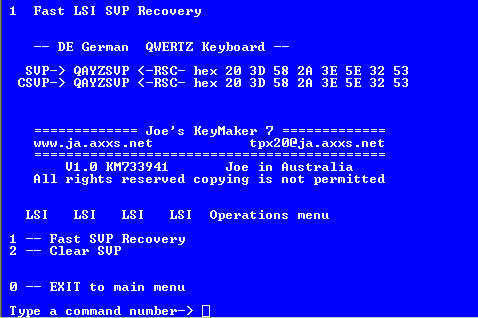 KeyMaker 7 arrives fully assembled, tested and ready to use - You know it will work when you switch it on. 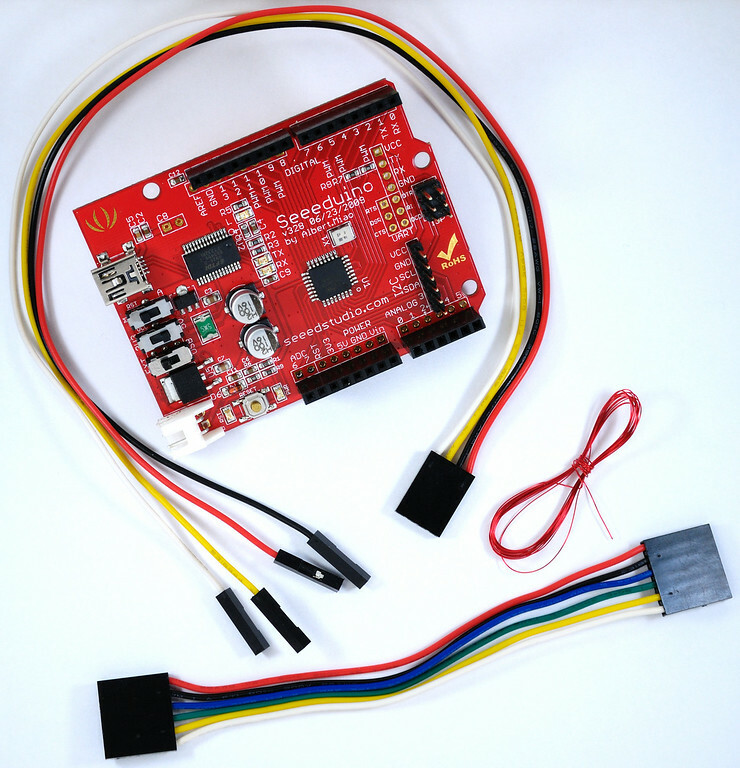 You have detailed illustrated instructions right here which includes which EEPROM type is in your model TP and how to gain access to it. 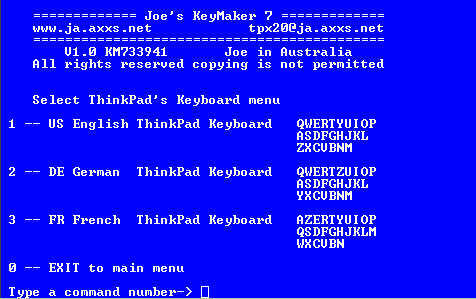 A T60 being unlocked, using Joe's KeyMaker 7 together with Joe's KeyMaker 7 LCD. Leaving one hand free to operate the Joystick on the KeyMaker 7 LCD board. 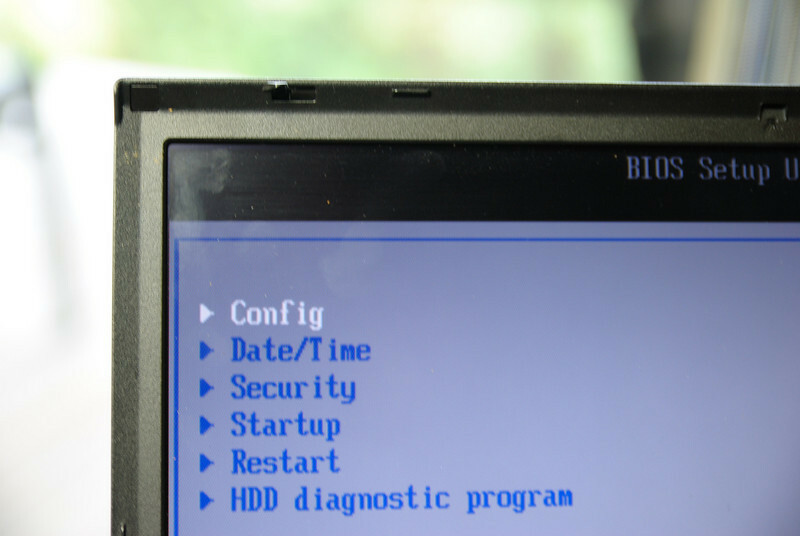 To permanently remove the Supervisor Password, follow the instructions for turning off the password option in the BIOS Setup Utility. 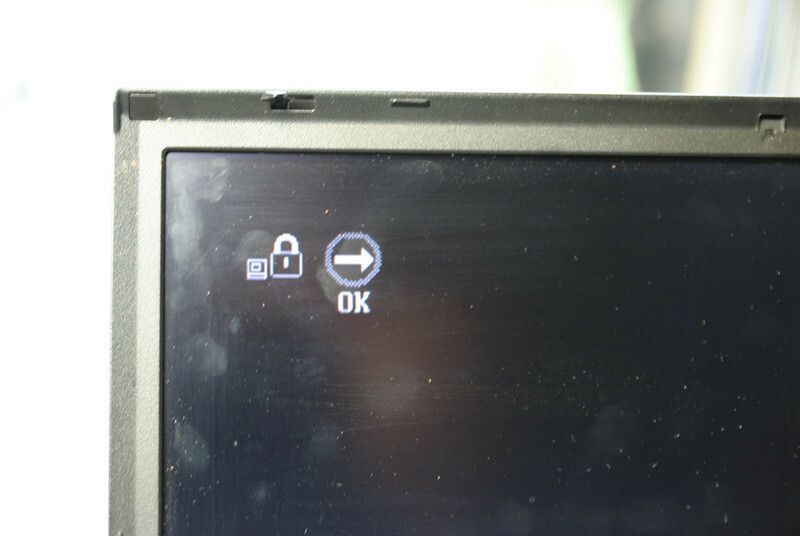 When using KeyMaker 7 USB connection leads to the EEPROM inside a TP can be connected whilst the TP is switched OFF or ON, the leads can be left connected while the TP is being switched ON and OFF. KeyMaker 7 USB's EEPROM connections do NOT have those restrictions because the KeyMaker 7 USB's EEPROM connection points are High Impedance, they do not load down the signals, therefore they can be left connected at all times without affecting TP power up or power down. 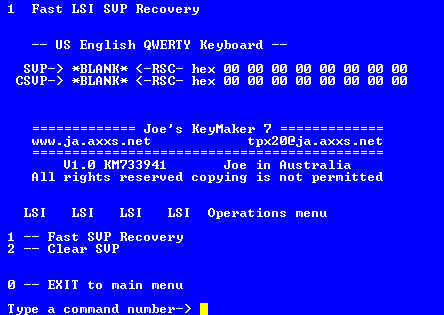 Another plus for Joe's KeyMaker 7 USB. 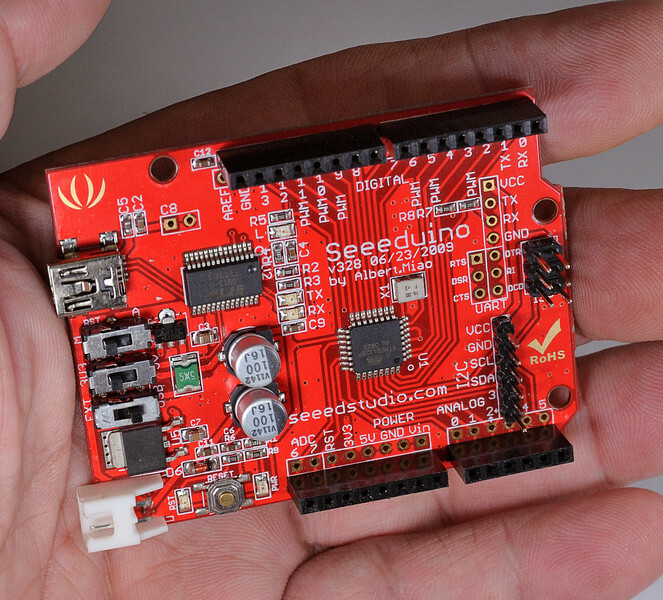 Seeduino V328 ATmega328 board fully assembled, tested and programmed with Joe's KeyMaker 7 USB Firmware. Short length of thin diameter enameled copper wire to be used for connecting to EEPROMs. Documentation, right here on this web site, KeyMaker 7 USB User's Guide, which includes detailed illustrated instructions on how to connect it to ALL the applicable TP models. Just remember: you ALWAYS see it here first. 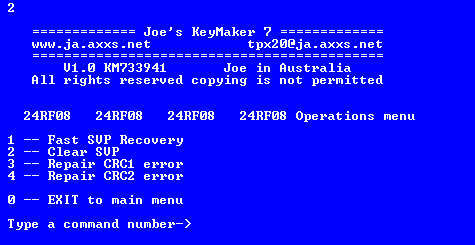 Joe's KeyMaker 7 USB is yet another first. 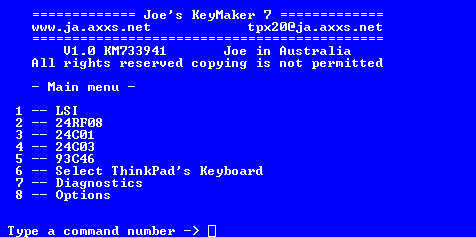 Joe's KeyMaker 7 USB arrives in your hands FULLY assembled, programmed and tested, you KNOW it is going to work and can concentrate on starting to unlock your TP. 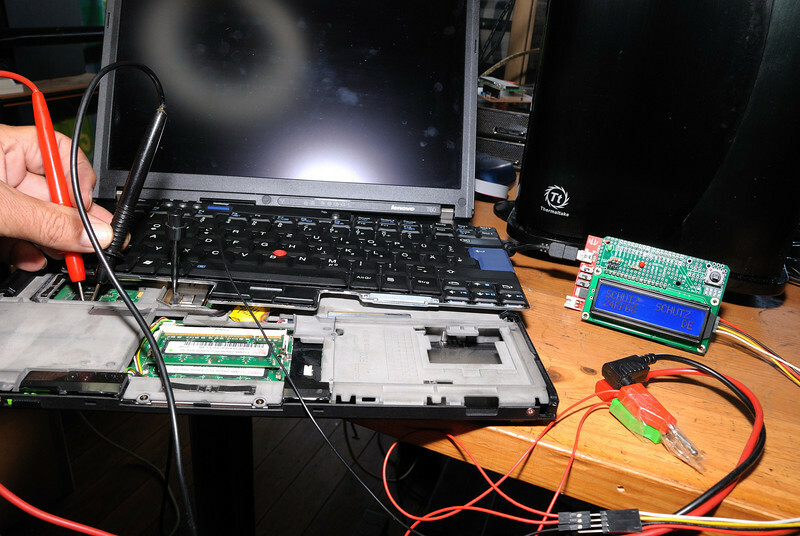 No need to waste time and money sourcing parts that, depending on where you buy them, can easily cost a lot MORE than the assembled and tested Joe's KeyMaker 7 USB. Ready to go - it does not get easier than that. 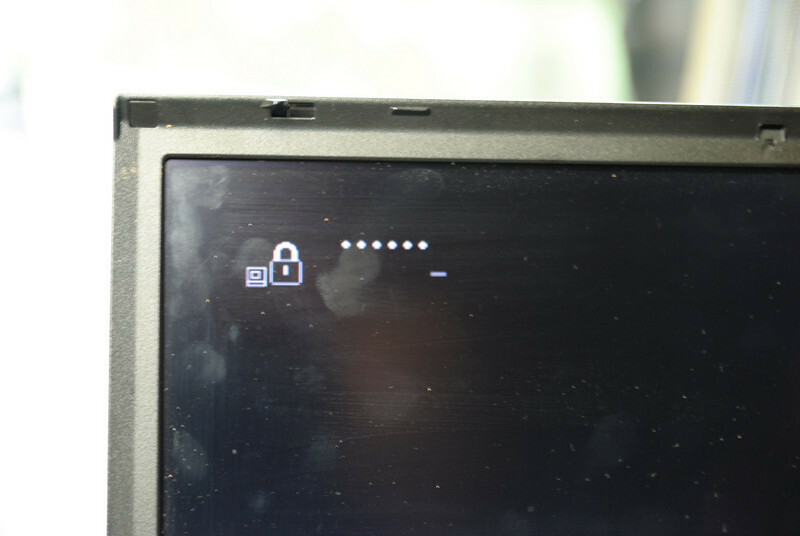 Every KeyMaker 7 USB already comes programmed with firmware to handle KeyMaker 7 LCD, which means that a locked TP can power the KeyMaker 7 USB and KeyMaker 7 LCD combination while that locked TP it is being unlocked, no second PC or Laptop required to get the job done. You will be hard pressed to find anything that even comes close to Joe's KeyMaker 7 USB in one quality state of the art feature rich convenient USB powered TP unlocking tool that does it ALL, certainly not at this price! Close-up view of Joe's KeyMaker 7 USB, how is it connected. 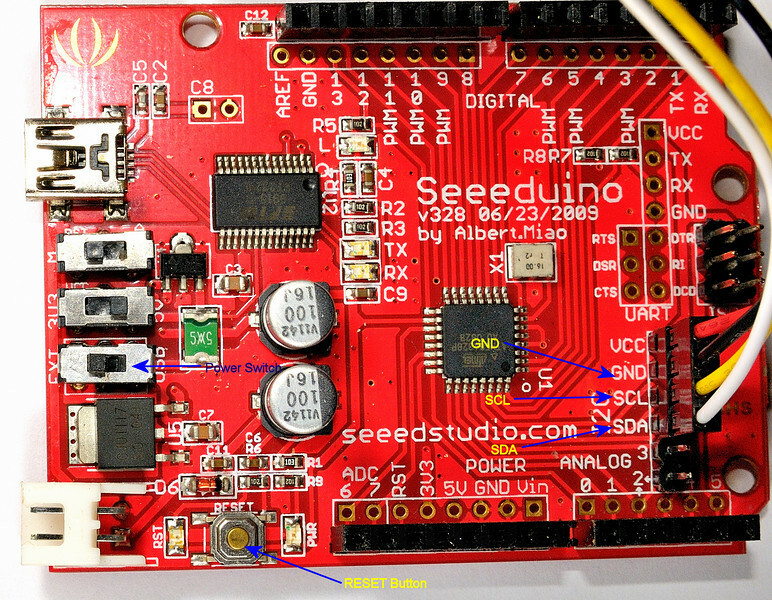 Mini USB cable [not supplied] connects to the Mini USB connector [top left] to your PC, MAC or Linux system and one of the supplied 4 way and 6 way cables connect the 6 pin header [bottom right] labeled I2C to the EEPROM in your ThinkPad. The reason, is Joe's KeyMaker 7 USB is a powerful state of the art Microcontroller based board with an USB interface, ALL THE WORK is done ON the board by the Microcontroller and my firmware program, you ONLY need a Personal Computer of some kind to interact with the program running on the board and display the results. 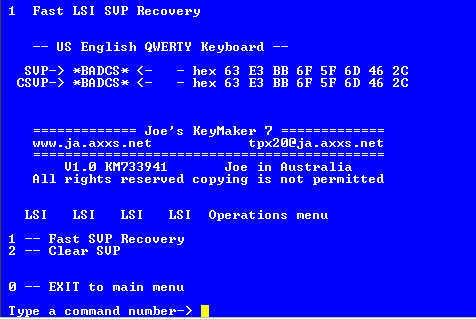 KeyMaker 7 USB does all the work for you, no guessing, no charts to consult, Recovered SVP ready to type in on YOUR Keyboard.